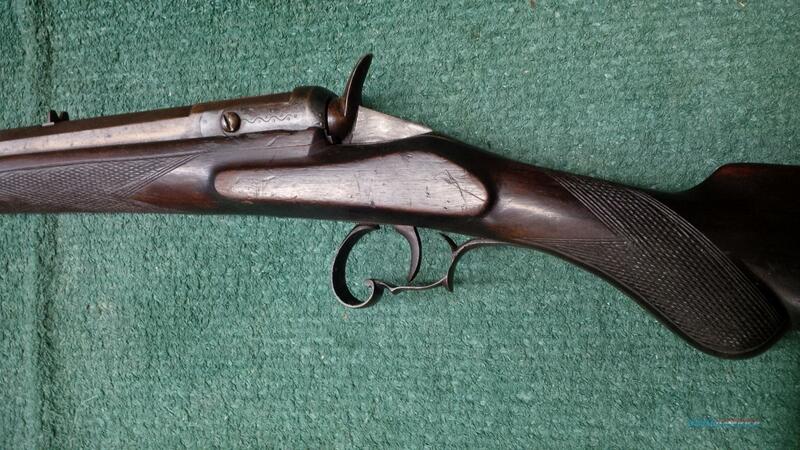 Description: We Have this Flobert rifle up for sale on consignment. Owner claims its a Belgian made gun, I have not been able to confirm this. Please refer to the pictures and we will be glad to answer any questions you have regarding the condition. Overall this is a solid action with an interesting amount of scroll work on various parts of the metals. These rifles have what is known as a swing over breech block action with an octagon barrel measuring 24 1/2 inches, and fixed sights as shown. Really a nicely made rifle that we have not much knowledge of (to be perfectly honest) but seems a very solid functioning gun. The bore is average with plenty of rifling left and as for grading condition perhaps a 75% might be appropriate. Again, feel free to call us with any questions, the price listed is the asking price with serious offers considered. We want to make the buyer and seller happy with the outcome. As always we thank you for your interest in our listings!